ground” for criminal offenders who have washed out of another very successful program of the state Judiciary, HOPE probation, according to Honolulu Prosecutor Keith Kaneshiro and state Public Defender Jack Tonaki. “HOPE violators are taking up available treatment spaces and preventing Drug Court offenders, whom the program was created for, from entering the program,” Kaneshiro said in testimony to the Legislature last week. Drug Court was created in 1995 as a way to divert first-time, non-violent drug offenders away from the criminal justice system into a comprehensive and integrated system of judicial oversight and drug treatment services. 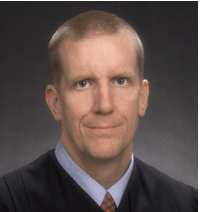 HOPE – which stands for Hawaii’s Opportunity for Probation with Enforcement – was created by Circuit Judge Steven Alm in 2004 as a way to reduce repeat offenses by criminal probationers through a program of strict monitoring and brief but immediate punishment for violations. Alm took over the Drug Court program last year and combined it with his HOPE cases, which now total some 2,000 offenders. “Eligible drug offenders are being rejected (by Drug Court) and told to seek their own drug treatment in less intensive programs which may be unaffordable for some,” said Kaneshiro, who helped start Drug Court 13 years ago. “They are being pre-empted by HOPE probationers who are failing their probation supervision and are being diverted from prison at the expense of drug offenders who WANT DRUG TREATMENT” (emphasis in original), Kaneshiro said in written testimony to the state House Judiciary Committee. Alm did not respond to a request for comment delivered yesterday. 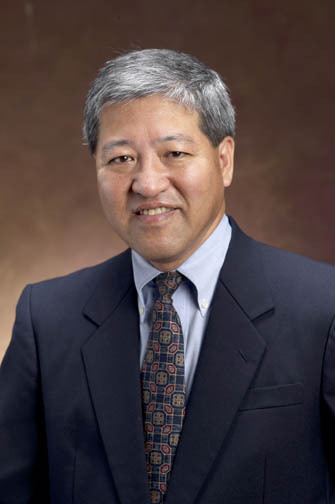 Kaneshiro told lawmakers that he and Tonaki met with Supreme Court Chief Justice Mark Recktenwald last April about the matter. “He said he will look into it,” Kaneshiro said. “We did not hear from the Judiciary until December 2011, when we met with two judges, including the administrative judge. Again, nothing happened,” Kaneshiro said. Chief Justice Recktenwald did not respond to a request for comment made yesterday. He noted that despite HOPE’s threats of immediate jail sentences for violators, many HOPE violators are at large, with bench warrants outstanding for their arrests. “The sheriffs must arrest these violators and bring them back to court, only to be placed back on supervised release when they really should be incarcerated,” Kaneshiro said. Hawaii Reporter disclosed in April that bench warrants were outstanding for 184 HOPE felony probationers – nearly 10 per cent of Alm’s caseload at the time. Some of the warrants have been outstanding for years. At least three probationers – Kelii Acasia, RJ Ham and Aaron Susa — have been charged with murder while enrolled in the HOPE program. “Statistics have shown that many offenders are being saved from prison terms and that, at least at the current time, recidivism is being decreased because of HOPE,” Tonaki said.